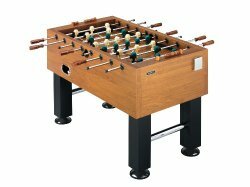 Harvard Foosball Table - Find Best Models & Their Reviews! 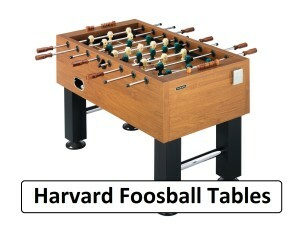 Harvard foosball tables are manufactured by Escalade Sports which has been around for over 80 years. 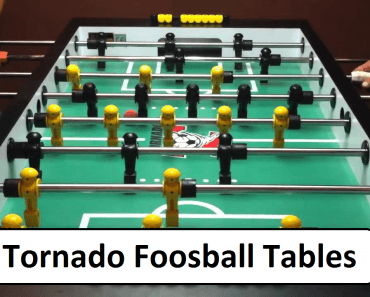 Their products surround table sports and they are the lead manufacturers of Harvard and Atomic foosball table, arcade games, fitness equipment, and other sports. This company produces four leading range of foosball tables which are generally seen in Department Stores. Amazon is also a distributor of this product and all the other range of games Harvard manufacture. 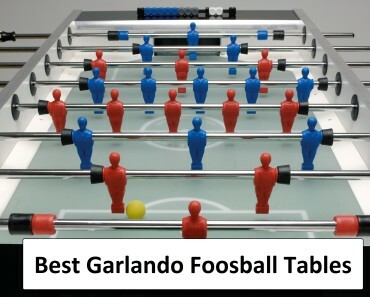 In this article, we will present you some of the best Harvard foosball table models. Want to find other brand models & their reviews? Please check here. Below are the reviews of tables made by Harvard, but if you want to know more about best tables and their reviews, check at best foosball tables & reviews. The Harvard is the perfect foosball table for younger players who are playing for the first time and are desirous of learning the basic rules and strategies of playing foosball. This Harvard Foosball table price is not high and at this price, the table is not suggested for tournament action. Kids are the ones who will get the most benefit from this foosball table. The table is manufactured for some semblance of sturdiness and is of quality that will serve for a long time if utilized correctly. Here are the manufactured features for this foosball table. Although this foosball table is at one of the lower ends of the manufacturers’ spectrum, the cost of this Harvard foosball table is quite low and is a table that is able to take all the roughhousing done by kids. The material is sturdy, made from a laminated material which gives it a pleasing look. The table has an attractive wooden appearance which is its greatest feature. 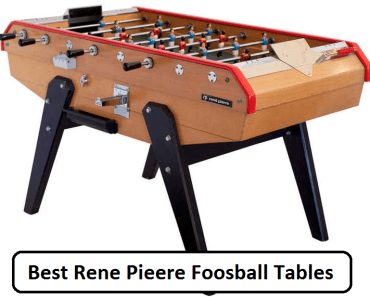 This foosball table is not one that you can learn much about professional play; it is purely for fun, which is why kids enjoy playing on this table. The Harvard Black Deca is also one of the lower end productions of Harvard, but it has some reasonable good features that make it worth the buy. This foosball table has some unexpected features like counterbalanced foosball men, and the leg levers are adjustable. These two great features make it easy to position your players without having them flip over without prompting, and the leg adjustable levers are quite handy for leveling your foosball table in a pinch. This Harvard foosball table is priced reasonable and is worth the buy. This Harvard Midfielder Foosball table is priced a bit much than other models. For this price, it is the cream of the crop. The table is made from heavy laminated wood with PVC laminated wood playing surface. Chrome plated, solid steel playing rods, and slick foosball bearings for accurate delivery. Chrome cup holders, wood abacus scorers, solid wood foosball handles for clean accurate grip, even with sweaty palms. Comparing to the Tornado Foosball tables, this is as good as you get. This foosball table made by Harvard is available for a good price. 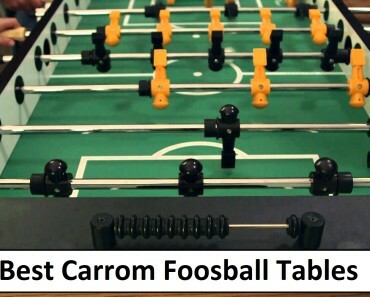 It is a 4-foot foosball table made for not too hard to play. 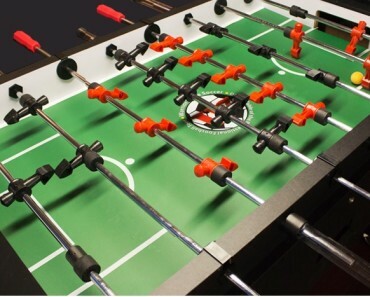 Has painted players and a ½ in chrome finished rod; this foosball table is for kids who want to just have fun and not have to consider how they play. The rubber handles are great for gripping even if you have sweaty palms. Investing in this foosball table will be only for fun as the quality is not for durable use. Maybe good for about a few years if used with some care, as stated by an avid foosball player, who plays for fun at home. This classic Harvard Foosball Table G01860 with Electronic Scoring is in a class by itself. It’s a professional foosball table. Sturdy legs made of wood, steel rods, with wonderful wooden handles for firm grip. Excellently crafted players, that is robotic in features and balanced for precision during play. With the many choices available on Foosball tables today, Amazon is able to facilitate what you are looking for. The wide variety of quality, standards, and uses are what you need to look for when buying a foosball table and this is what Amazon facilitates. New and secondhand bargains can be had for just the right price. This table is in excellent condition and can be had on Amazon for any person who considers themselves worthy of owning a table of this quality. The foosball table is made of a wooden cabinet, with solid steel rods and nicely crafted wooden handles for comfortable gripping. It also carries robotic players that are atomically hung to give excellently balanced play and are able to stay in position for precision during play. 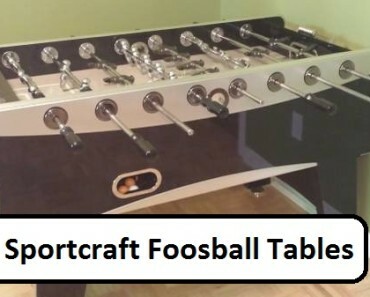 Anyone who acquires this excellent foosball table will have gotten a great bargain. The love of foosball is equivalent to a person who enjoys soccer, the beauty is you can play this game both indoors and outdoors and have hours of fun. Playing foosball on a quality foosball table will certainly give you many hours of pleasure. If playing to get in practice for a tournament, you will be able to enhance your skills at a remarkable rate, while having fun in the process.